Hello there! 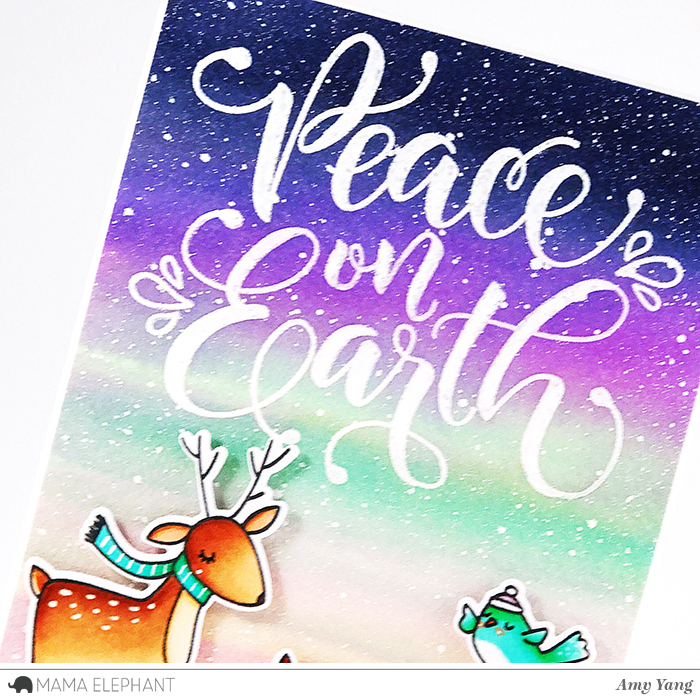 Amy here today with a Holiday card to share with you for the Designer Series project. 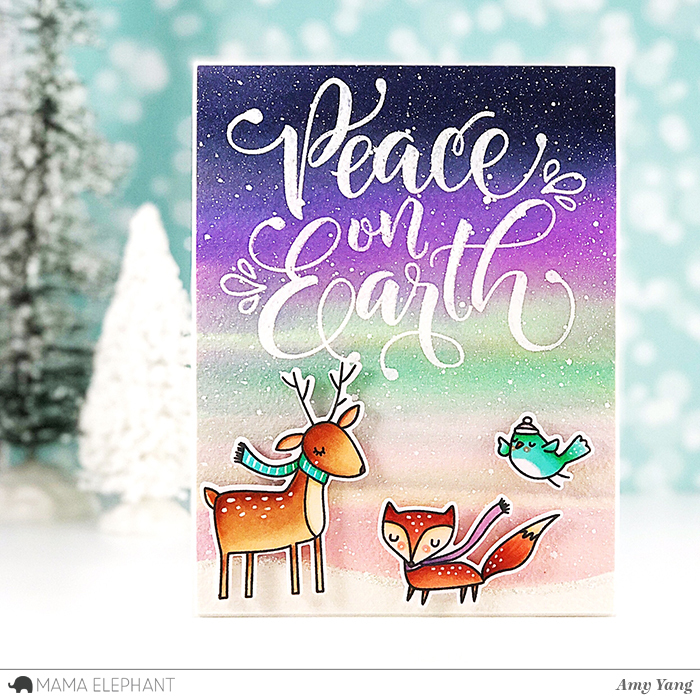 It features the beautiful Peaceful Wishes and the adorable Whimsical Winter stamp sets. To begin, I water-colored the background using Arches Cold Press watercolor paper with Distress Inks, Blueprint Sketch, Wilted Violet, Cracked Pistachio, and Spun Sugar. I added splatters of Copic Opaque White ink. I stamped the large sentiment from Peaceful Wishes with Versamark Ink, and embossed it using white embossing powder. 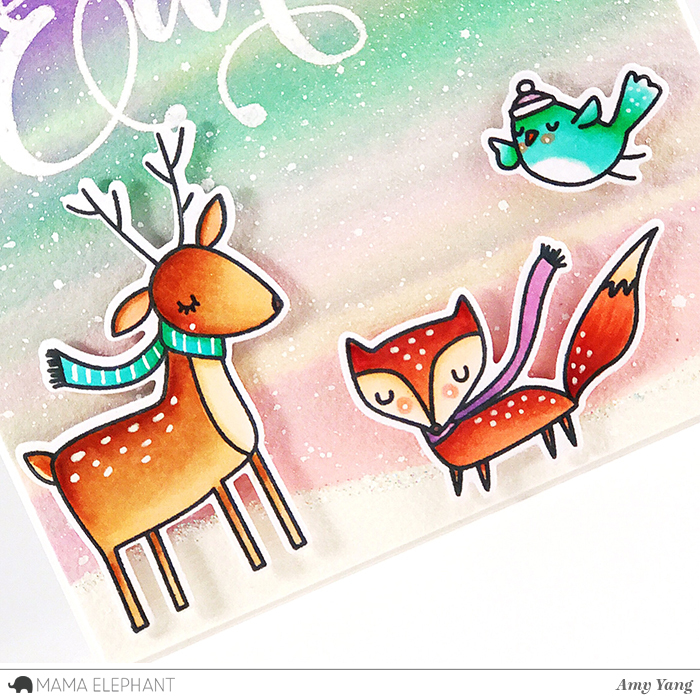 I stamped the cute animals from Whimsical Winter, and colored them with Copic markers. I added accents with a white Gelly Roll pen. I used the cooordinating creative cuts to cut them out. It's hard to see in the photos, but I added Star Dust Stickles to the ground they are standing on for some sparkle. I then adhered the animals with dimensional tape. Love this new stamp set! 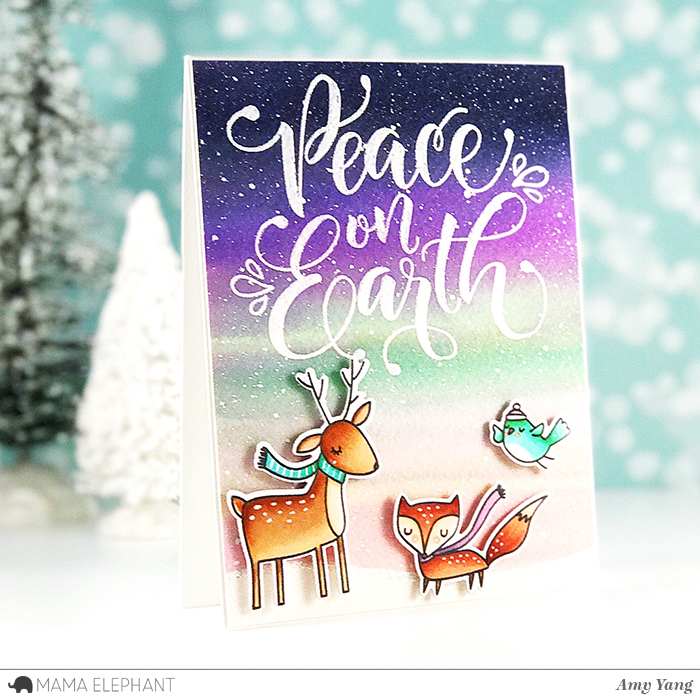 I really loved how your colorful background really enhances this card and puts the whimsy in whimsical winter! I love this card. The background colors are awesome! Beautiful colors and loving those cute images. Great look and splatters. That's such an incredibly cute card !! This stamp set is so cute but it's your background that makes the card. It is beautiful! !